Please note: The daily Minyan depends on obtaining enough people for a Minyan. Please call 608-358-5410 to find out the Minyan status. 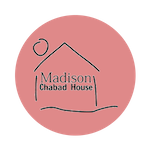 For more information please contact Rabbi Matusof at rabbi@chabadofmadison.com or 608-358-5410.